Above: Boom, boom, boom. Purchased from Minotaurus Boekwinkel. I photographed some of the posters for her retrospective and you can see them on Geotypografika Flickr. It’s impossible to leave Amsterdam without fearing the baggage weight check when you arrive at Schipol. Any self-respecting type and design geek will invariably collect all printed matter we can get our hands on, and this trip proved no exception for me. Full economy mode, and I didn’t tip the scales. 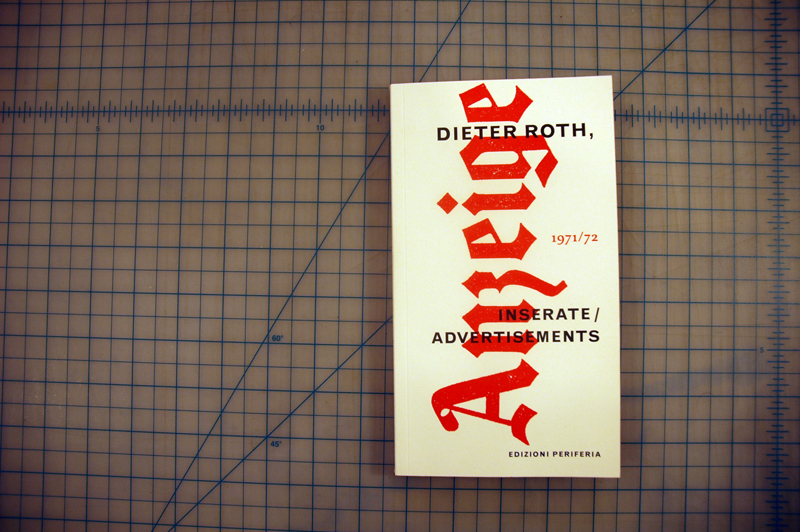 Above: Dieter Roth, Inserate. The above was found on a great day walking with Danny and Marieke from Experimental Jetset, and purchased from the delightful (yet dangerous) bookshop, Boekie Woekie. Above: Danny made me choose, so I went for the safe bet. A thousand thanks. Above: At last you are mine, mine! 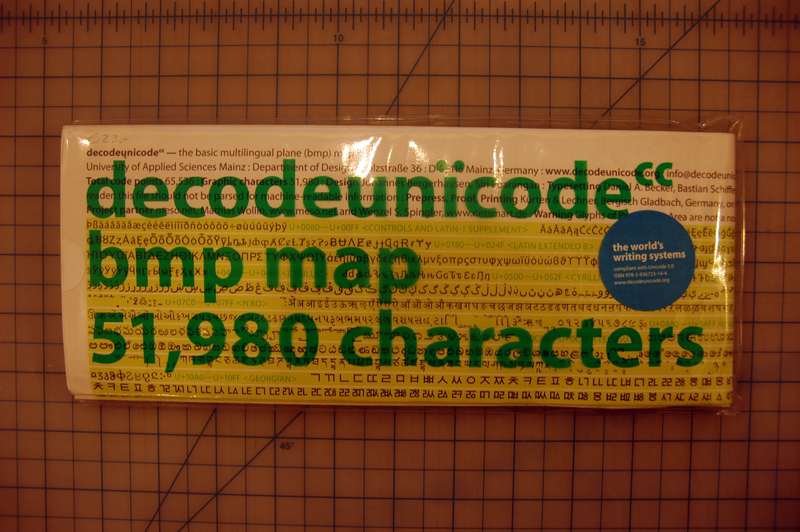 The Decode Unicode poster. 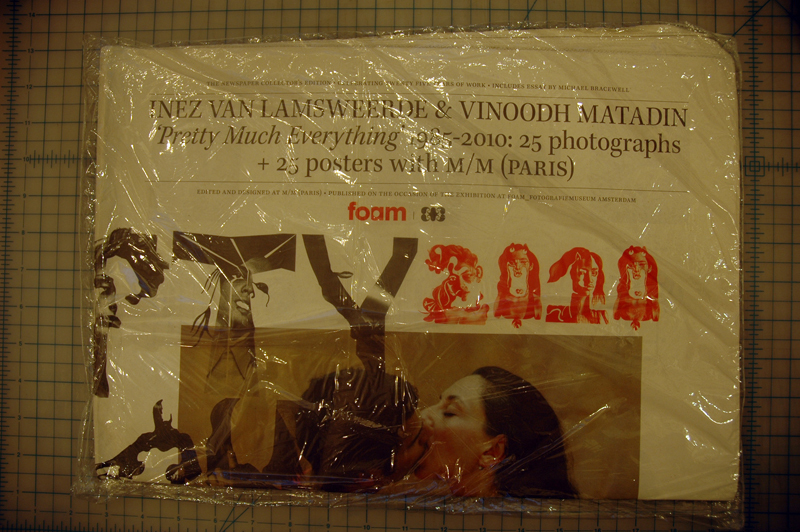 Above: Limited edition newspaper, still in plastic. 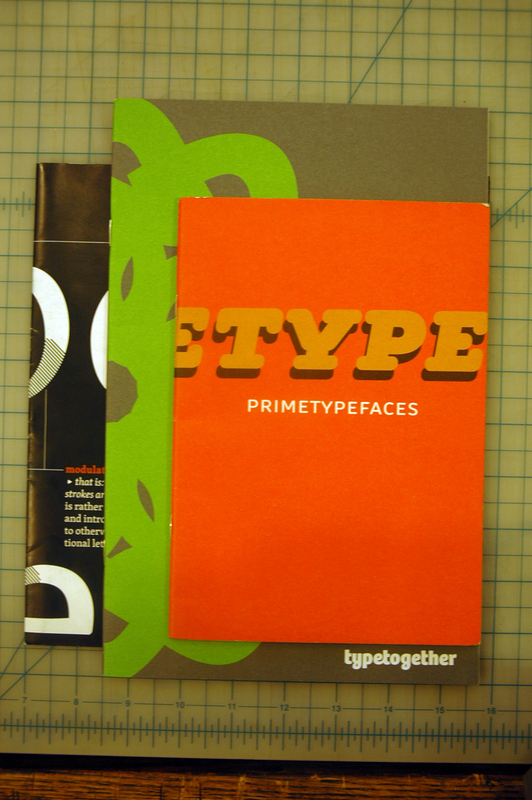 Above: Some ‘spare’ printed matter from Primetype, typetogether, both donated to my collection by Verena Gerlach. Grazie! 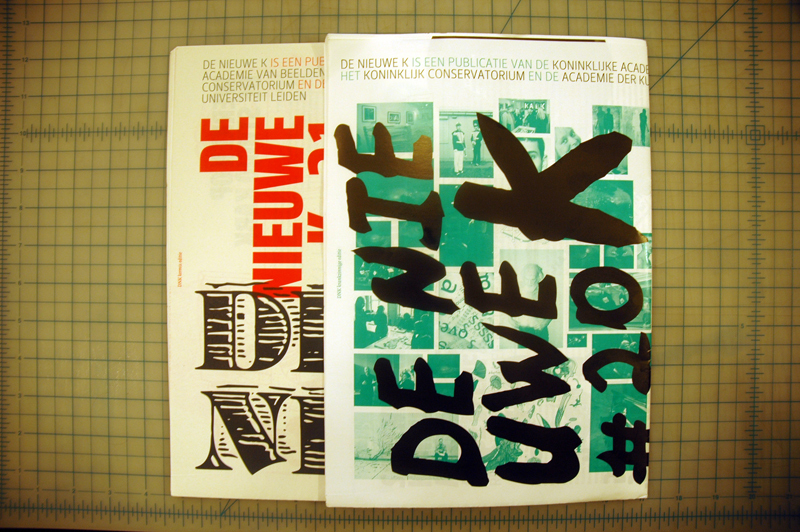 Above: Some printed matter from the Royal Academy of Art in Den Haag, see some photos from their recent graduation exhibition on Geotypografika Flickr here. 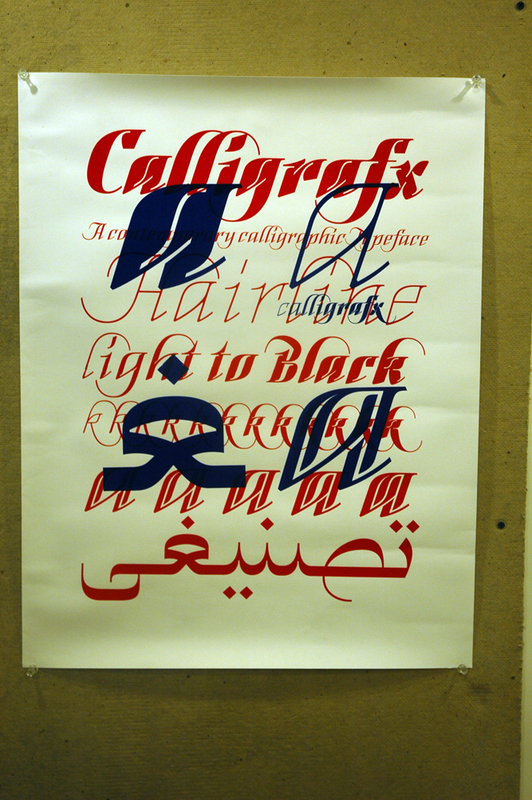 Above: Calligrafix by Florian Schick, from his graduation exhibit at the Royal Academy of Art. Impressive, most impressive. Look for another story on the equally impressive work of Joris Strijbos soon. Many thanks for the poster, Florian! Above: Yes. 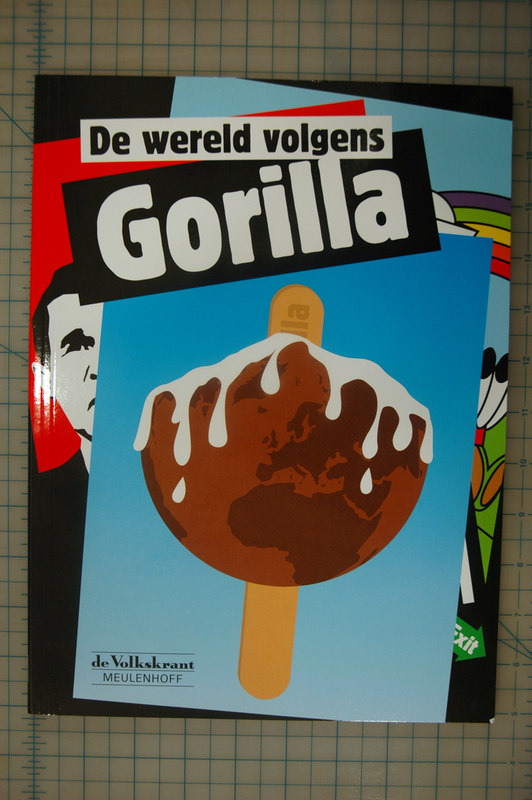 Gorilla, a series of political illustrations largely done by your heroes and mine, De Designpolitie. Above: Reza Abedini’s recent award-winning calendar, I will treasure this forever. Above: Poster’s from the recent O.K. Festival in Arnhem. 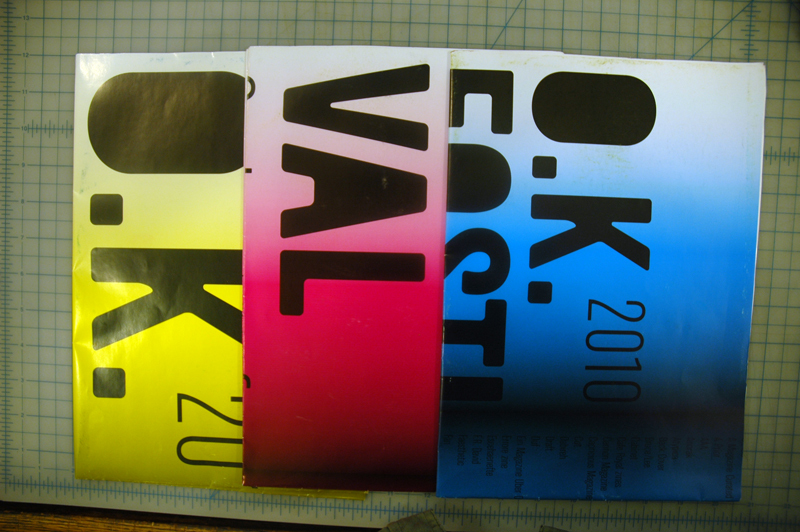 Hartelijk dank, William and Joost from OK Parking, who are making some of the coolest printed matter I have seen in some time. 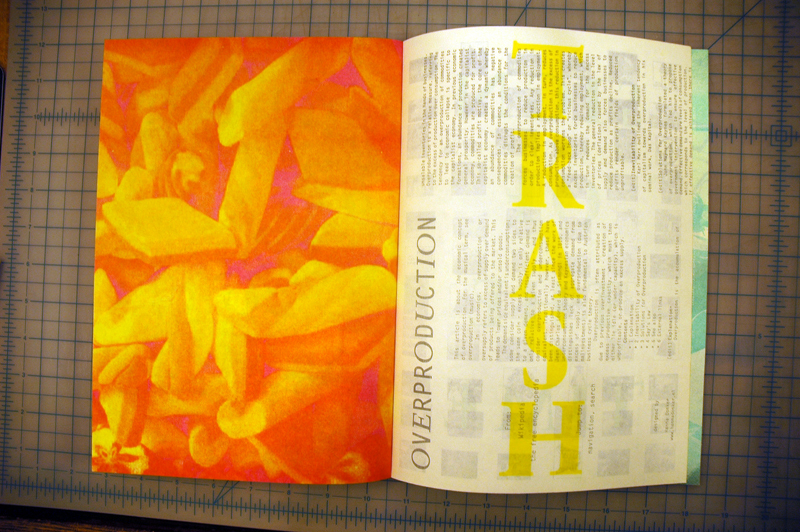 Above: A special gift from OK Parking, the zine produced by participants during the three days of the O.K. Festival. Süper cool. Hope you enjoyed these, please feel free to view more photographic ephemera from this trip on Geotypografika Flickr. oK Erik, you just buried the needle on my covet-meter, thanks. So grateful you stopped by here, Jan. Great seeing you at the opening, let’s talk more soon. Eric, I understand this all too well. I too brought back lots of booty from my trip to Amsterdam this spring! 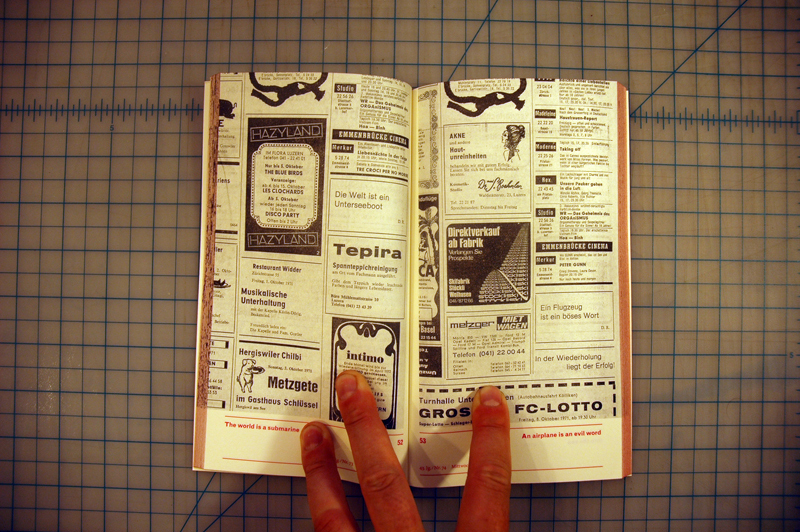 Lots of beautiful paper goods–oddly enough, almost none of it was typographic. At any rate, nice haul! Tsk, tsk. 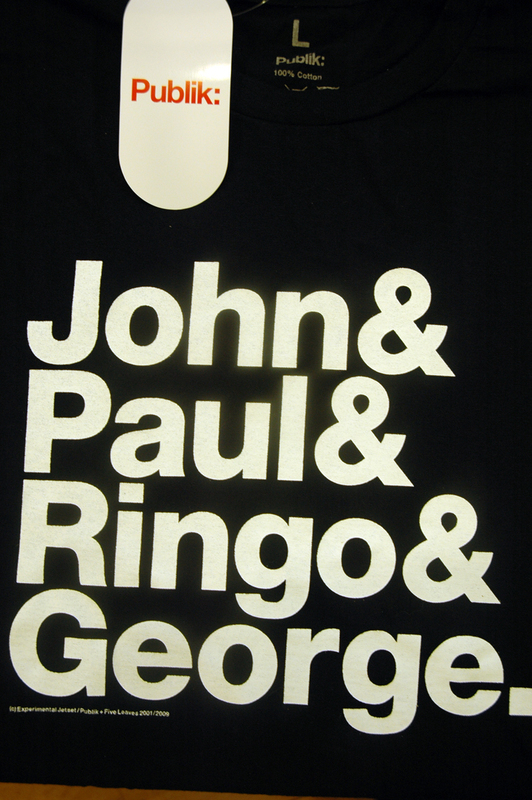 :-) Too funny, thanks for stopping by, Tuesday, would love to see your collection! Tsk, tsk indeed! I don’t know how I managed that, but I did! 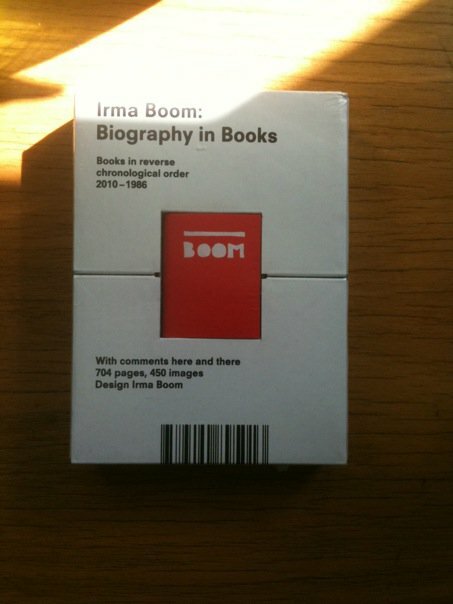 I was eyeing the make your own Thonik books while I was there and even visited the museum of graphic design! I’d love to share my collection! Someday soon I’ll come to your office hours with my album full of European goods. 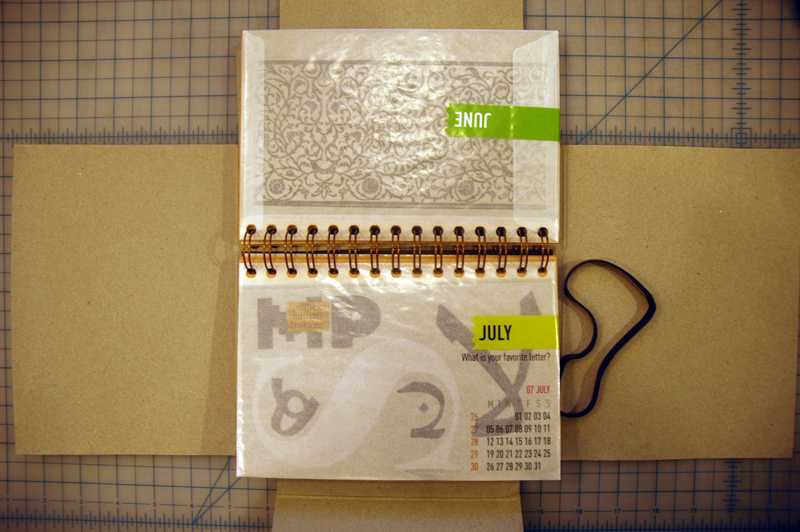 This entry was posted by Erik Brandt on Monday, July 5th, 2010 at 1:51 PM	and is filed under Aktuell, Education, Ephemera, Geotypografika, Globalization, Graphic Design, International, Internet, Minneapolis, News Links, Typografika, Typography.